The good folks at the Florida Space Development Council have provided this handy update on the fates of space initiatives during the current legislative session. It looks like it’s been a good session overall, with most objectives achieved. All approved measures are subject to veto by Gov. Rick Scott. 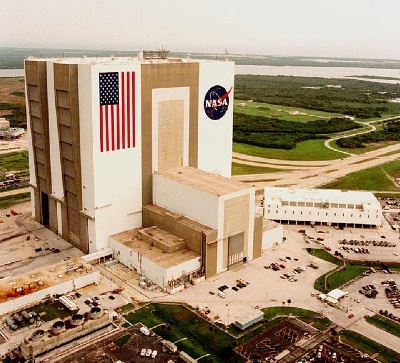 Space Florida Ops Budget ($10 Million) Funded at $14.5M in House/Senate conference budget Funded at $14.5M in Senate/House conference budget Keep Space Florida budget at same level as 2013. $4M in recurring base budget, $6M in nonrecurring funds. Qualified Targeted Industry (QTI) Incentive Carry-Forward HB-1209 bill died in committee SB-1422 bill died in committee Allows more than one year for QTI recipients (including aerospace firms) to use tax credit allowance, or sell credits to other firms. Space Industry Tourism Funding ($1.5M) Fully funded within Space Florida ops budget Fully funded within Space Florida ops budget Recurring budget item (from 2013) to support tourism attractions and space tourism flight business. Included in base budget. expansion projects. Half can be used for infrastructure projects. Space Transportation Infrastructure Funding ($20M) $20M is in FDOT annual work program through 2018 $20M is in FDOT annual work program through 2018 Continued funding within FDOT budget for “TIP” program. $15M minimum is included in FDOT budget allocation. Israel Joint Aerospace Development ($1M) Fully funded within Space Florida ops budget Fully funded within Space Florida ops budget Continued funding of joint aerospace projects with Space Florida and Israel. Included in Gov’s budget request. Investment Fund line (above) Funding to transition/promote SLF for new commercial and govt users. $2.5M/year for two years suggested by some legislators. Cecil Field Spaceport Infrastructure ($2M) Added to Space Florida ops budget Added to Space Florida ops budget Funding for Cecil Field spaceport infrastructure. Added to budget in conference committee. proposal Fully funded in Senate budget proposal Maintaining 2013 funding level for this workforce training incentive managed by Workforce Florida. Included in Gov’s budget request. STEM Workforce Training ($30M) Did not happen Did not happen STEM scholarships to state colleges and vocational schools. Maybe added as proviso language to budget later in session. Embry-Riddle high school aerospace academies ($1M) Funded at $3M in House/Senate conference budget Funded at $3M in House/Senate conference budget Recurring budget item to support/expand network of high school aerospace academies in Florida. Florida Tech space transportation research ($500K) Added to Space Florida ops budget Added to Space Florida ops budget New funding request for research on “efficient commercial space transportation system.” A larger request was vetoed last year.